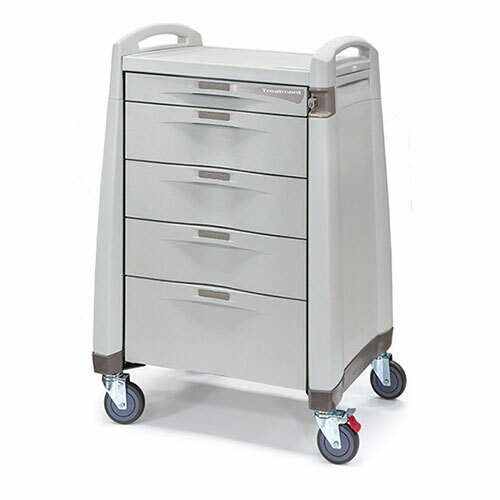 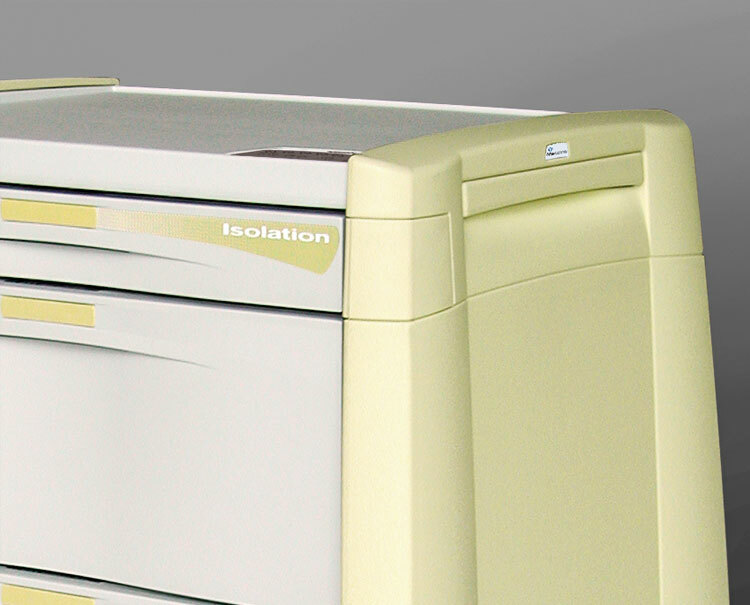 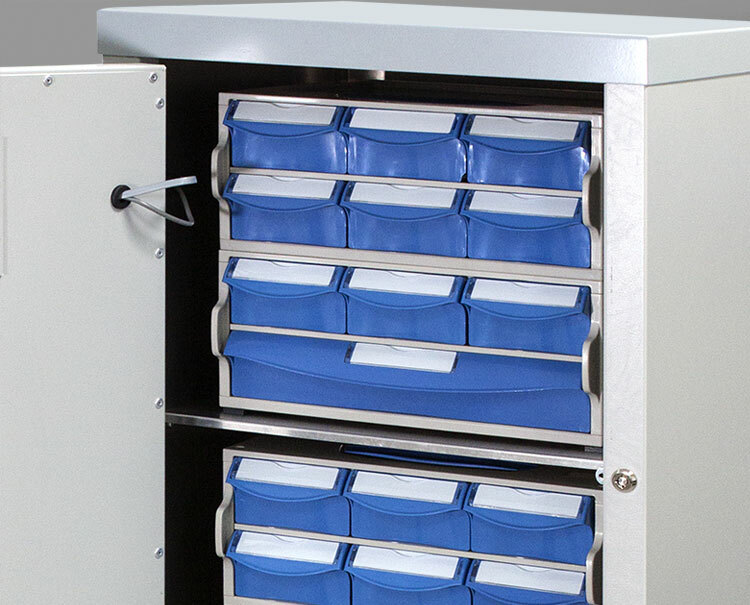 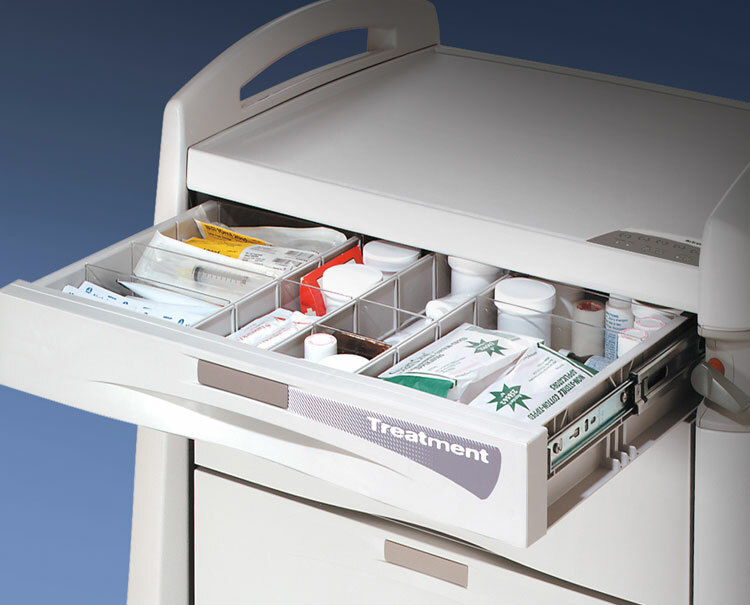 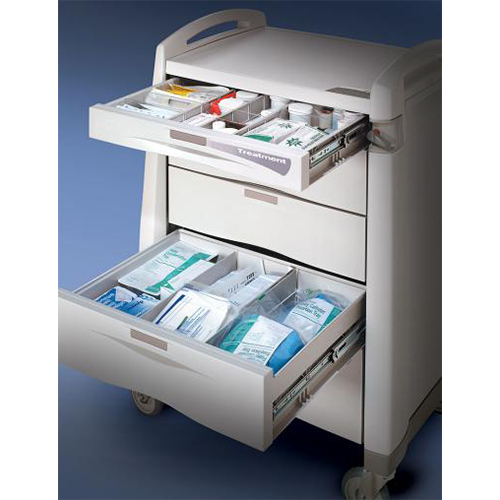 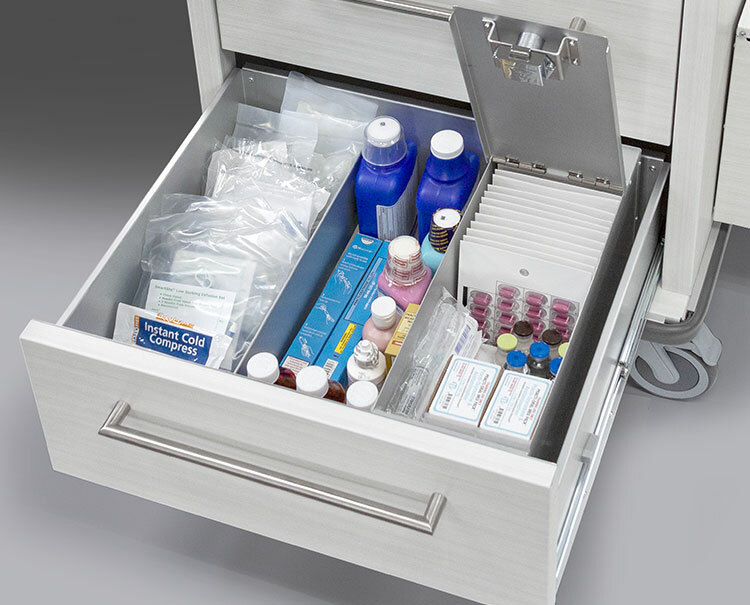 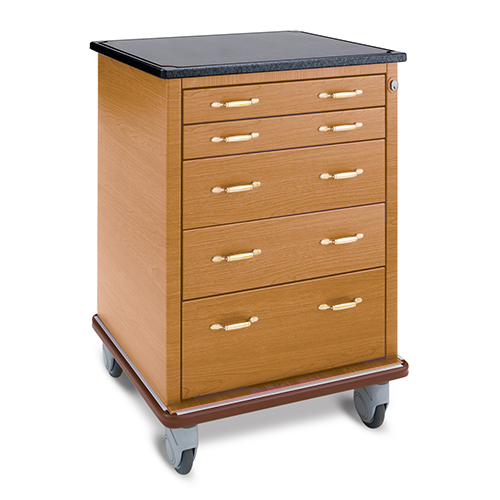 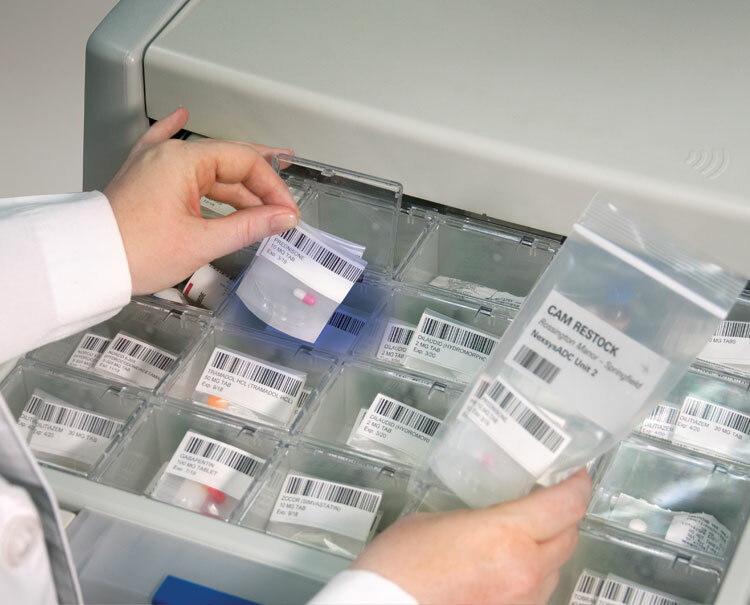 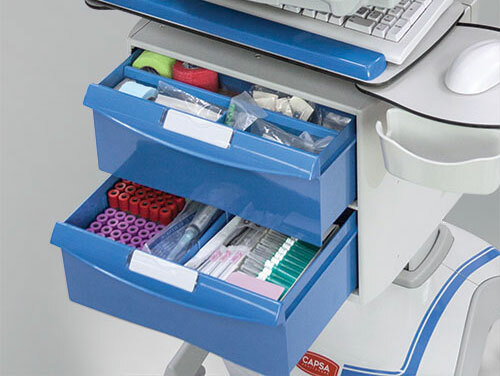 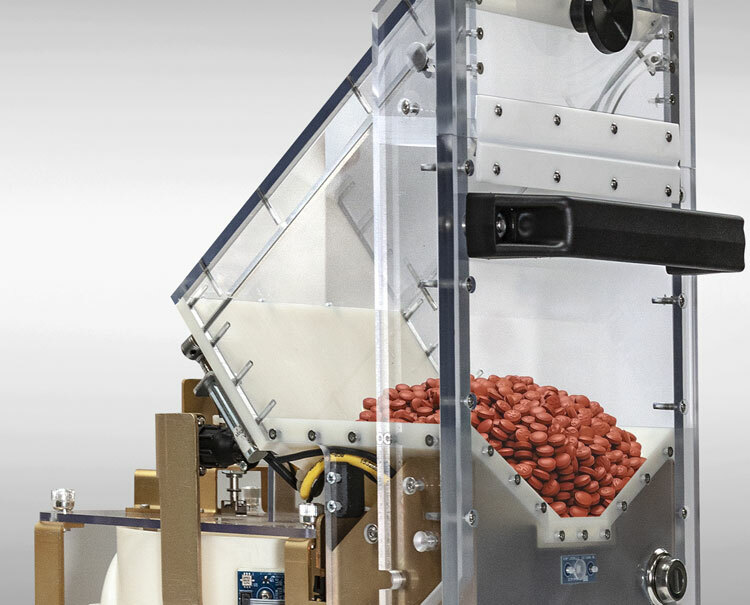 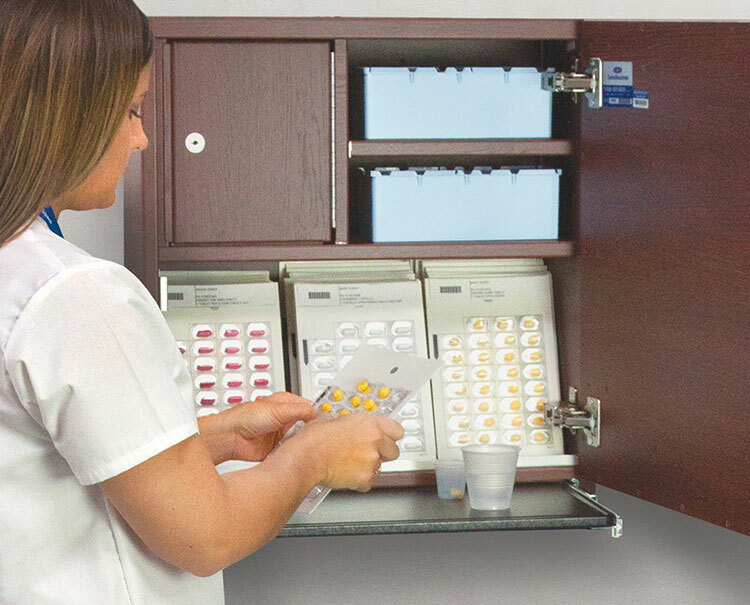 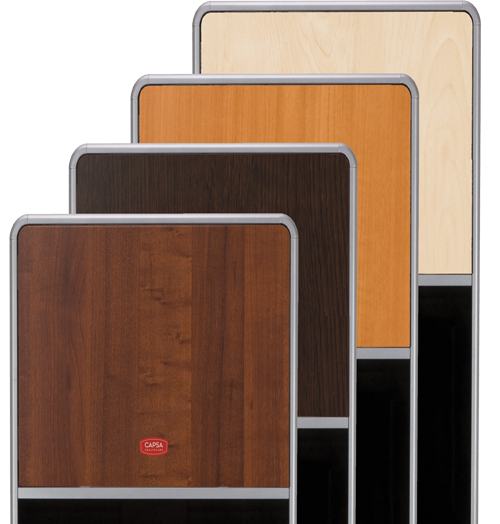 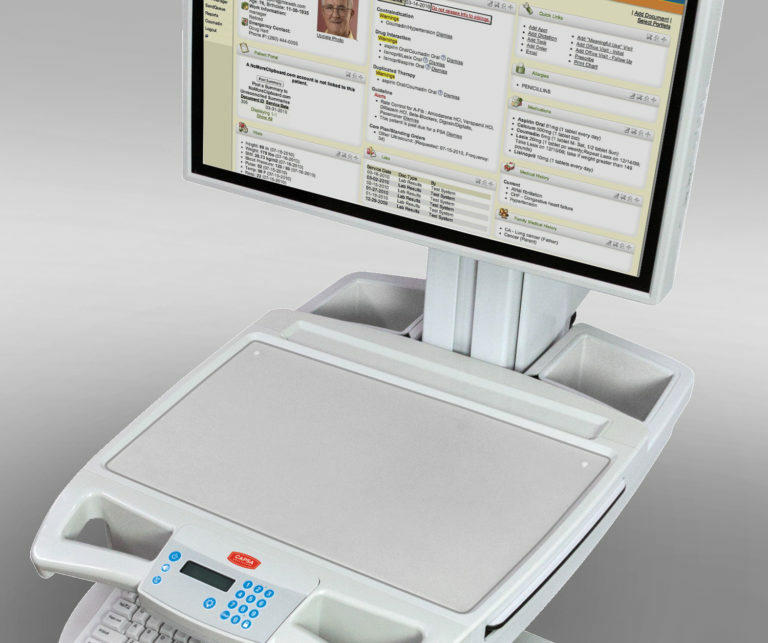 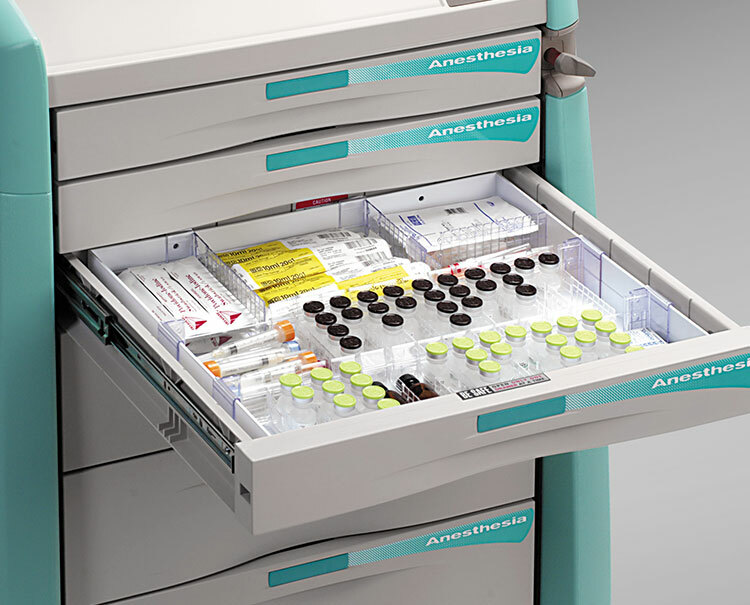 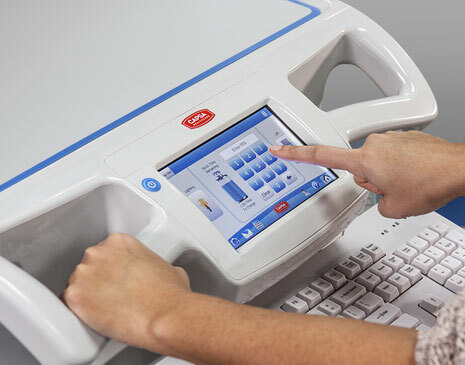 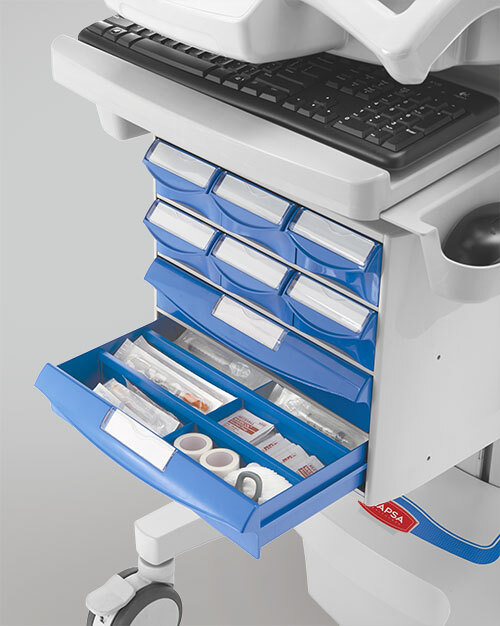 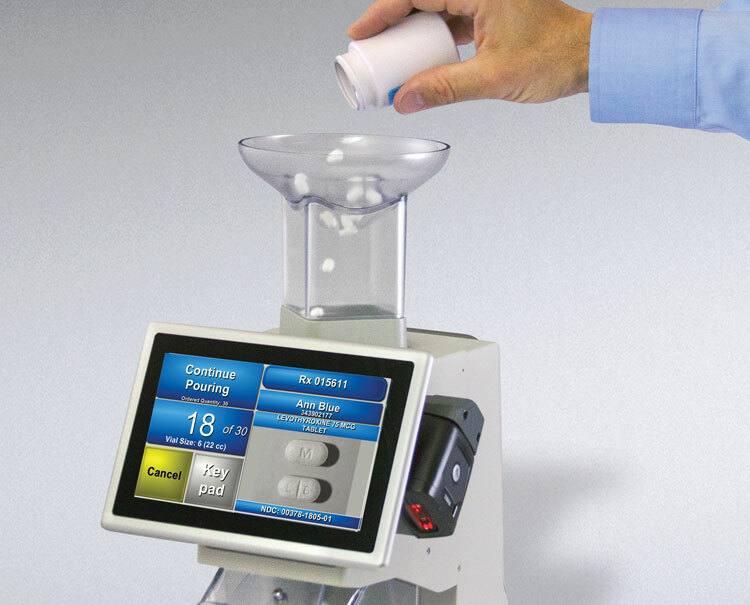 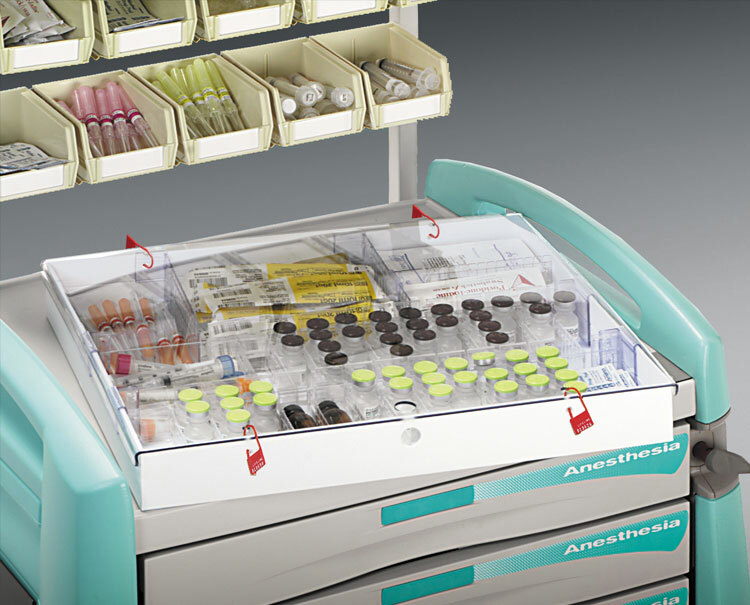 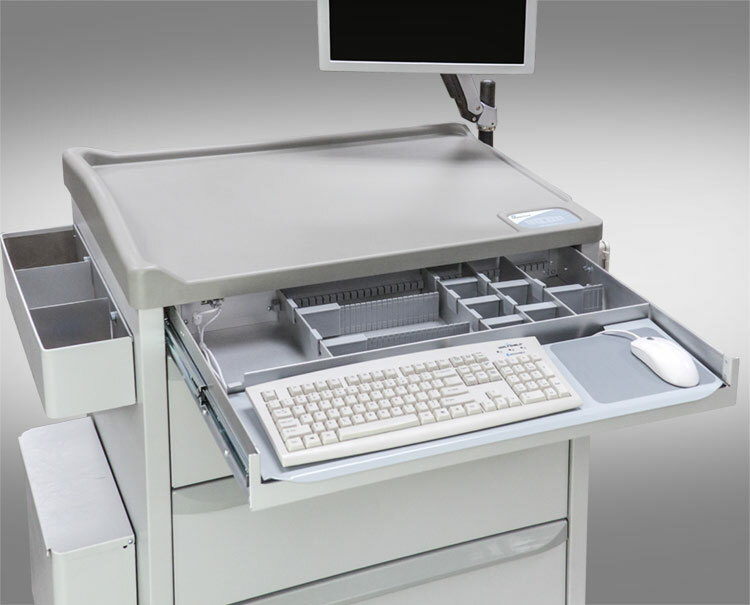 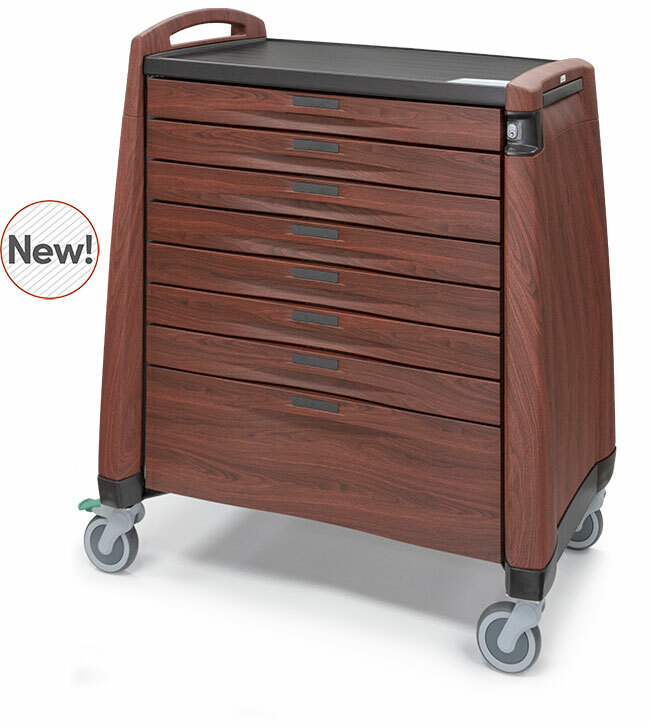 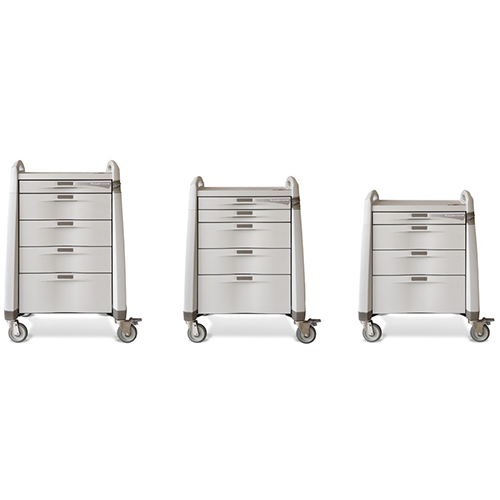 The Avalo Series Treatment Cart offers large capacity and flexible organization of treatment supplies in 3”, 6”, and 10” seamless drawers that feature a unique integrated divider system. 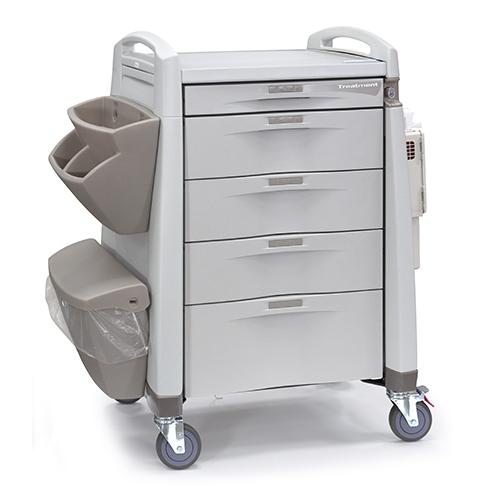 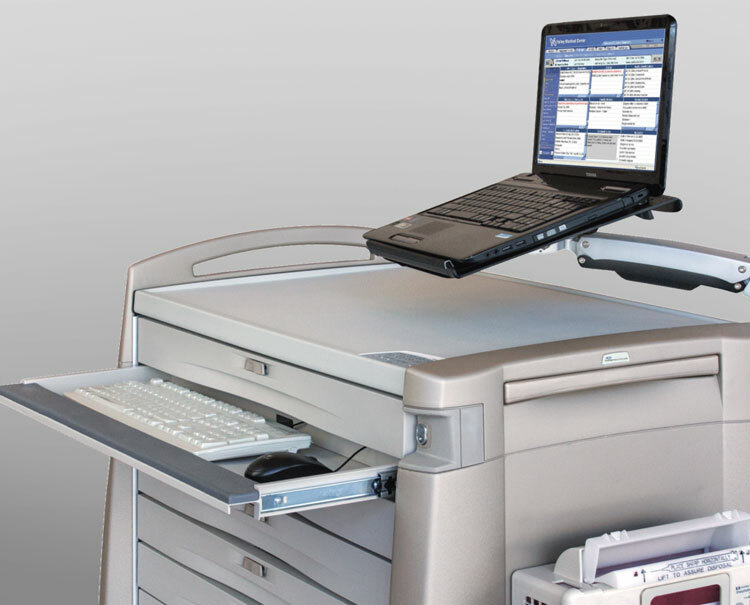 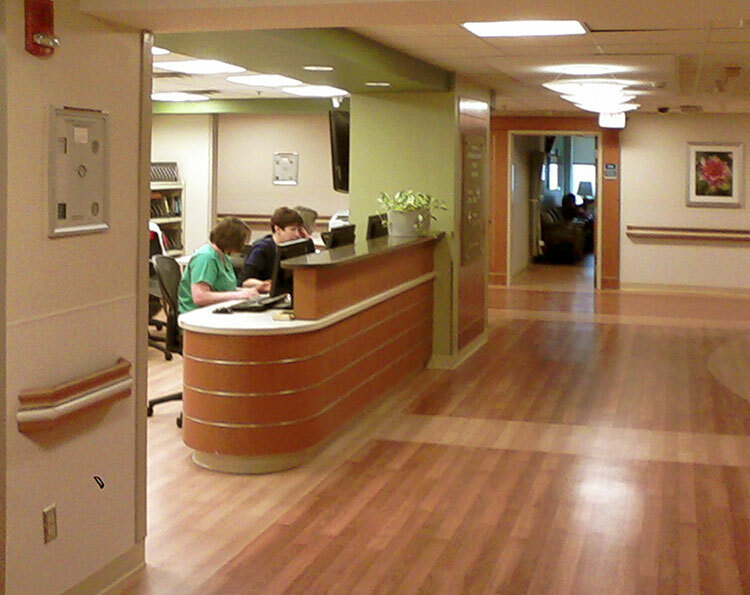 The Treatment cart includes an expansive work area, with an optional slide out work surface if more space is needed. 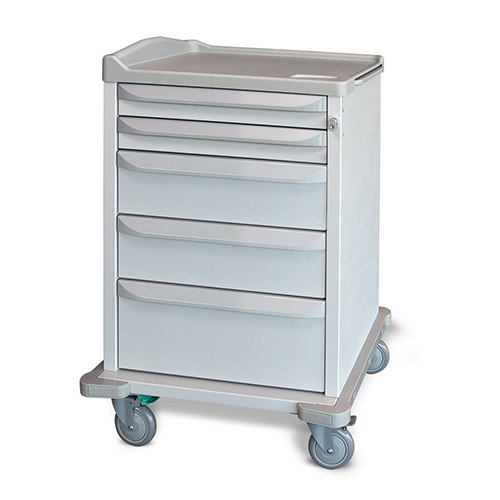 The durable steel frame and unique spread caster position ensure stability, while making the cart easy to move and control. 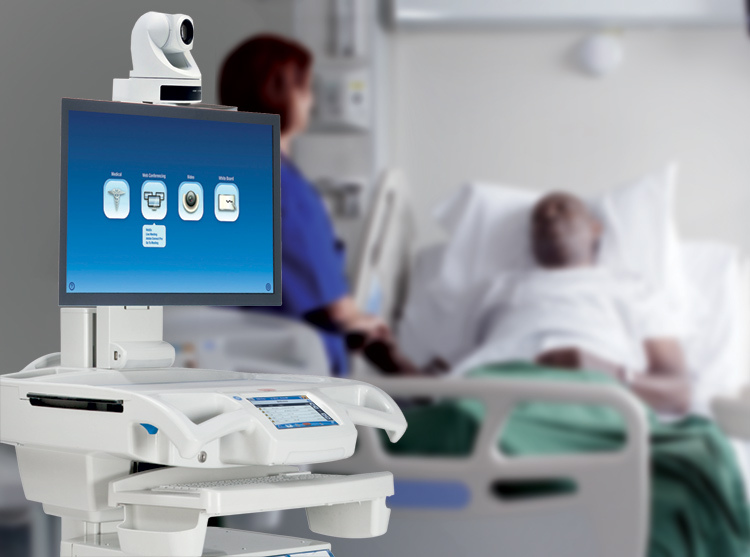 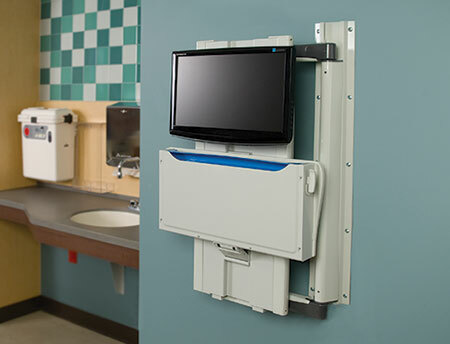 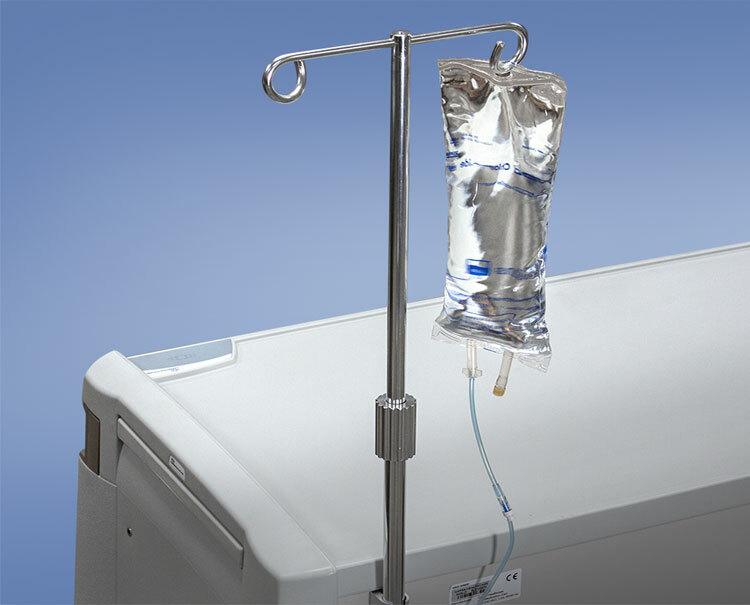 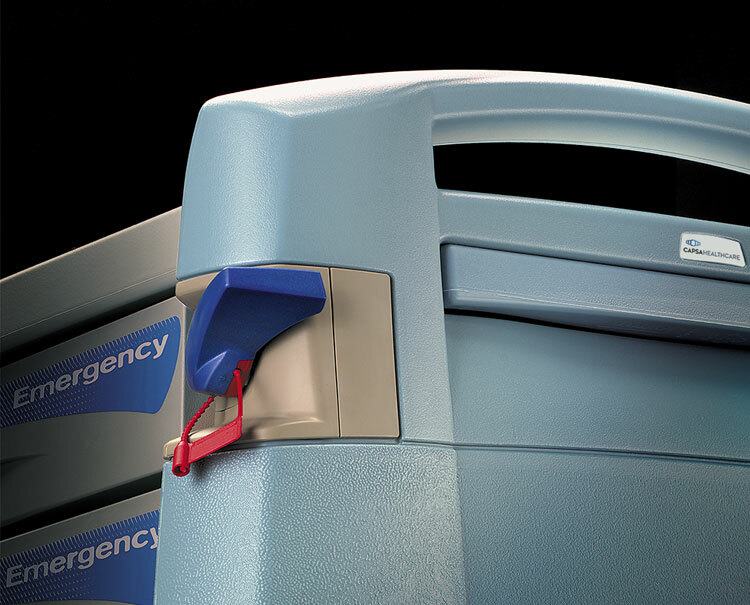 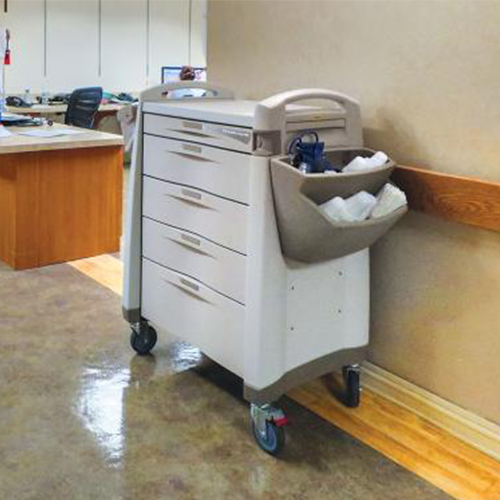 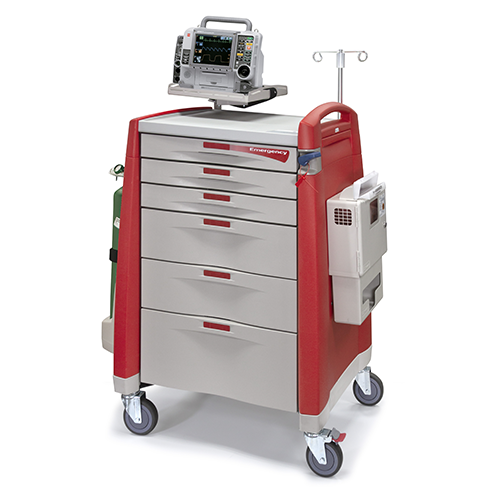 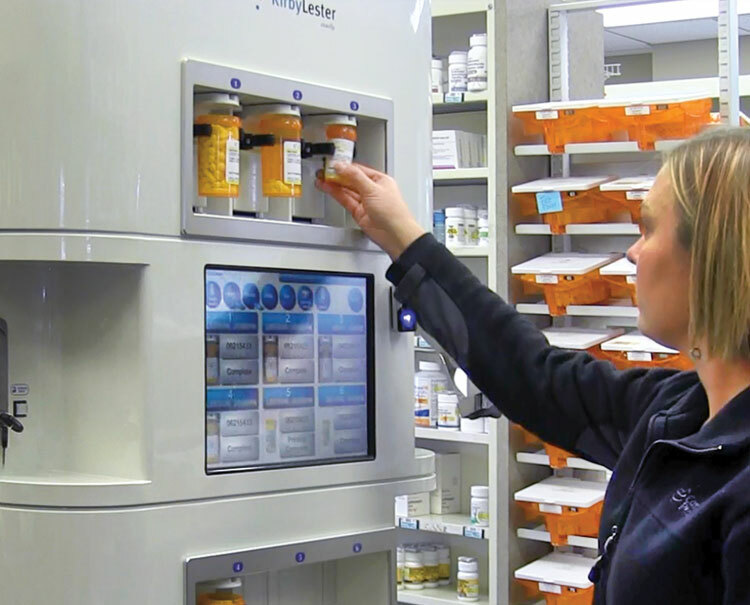 Choose from an array of accessories options to optimize the cart for your facility’s treatment needs.